Congratulations to Dezi! 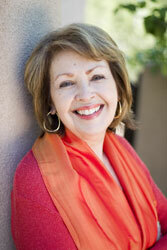 She will be receiving a free copy of Pat Mora’s Book Fiesta! Thank you to those who participated and look for more giveaways to come! Yenny! (Silence) ¡Yenita! (Still, silence) ¡YENNIFER! When I was younger, and referred to as Yennifer and not Jennifer by my family, I remember these typical moments between me and my mamí. It was a battle over which language we would speak at home. She would speak in Spanish and I would stubbornly answer only in English. I would ask her to read to me in English but she would have my father read instead – fearing that she would mispronounce las palabras. But no matter what, she always made sure someone read to me. And though she struggled with English often, eventually she mastered the language and in time even became a teacher. I should have learned from her example and spoke more Spanish at home. Instead, I dealt with my own struggle of learning Spanish, which lasted into my high school years. I regret not embracing both languages and refuse to make that same mistake with my son. He will have the best of both worlds and that is why I cannot wait to share Día de Los Niños/Día de Los Libros – Children’s Day/Book Day with him! “Dia” is a nationally observed celebration of literacy or what the founder, Pat Mora, refers to as “bookjoy”. Though April 30th, 2009, Dia celebrated its 13th Anniversary in many schools, libraries, and communities, Mora likes to say that “every day is Dia” and is striving to make that a reality. Mora is the author of numerous books for adults, young adults, and children. And her bilingual books encourage children to appreciate their culture and language through stories that not only sound charming but that are also beautifully illustrated. The newest addition to her collection is a bilingual, picture book entitled Book Fiesta! 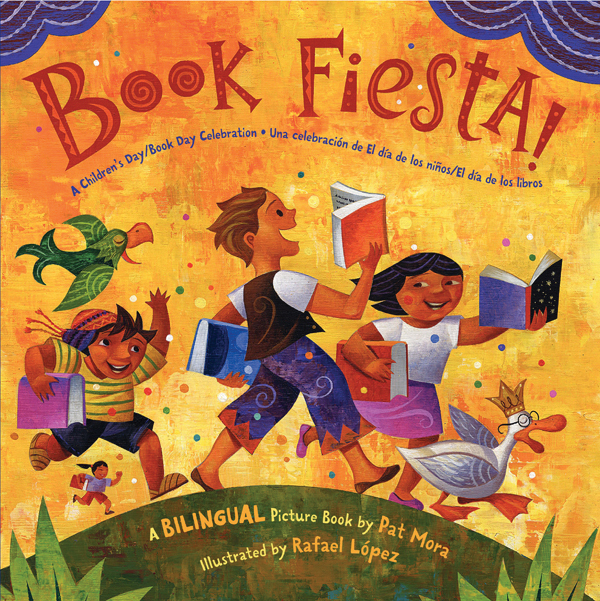 When I opened up my copy of Book Fiesta, I was greeted by bright, festive colors on each page and was immediately taken with the sing-song content of the book. It is quickly becoming a favorite in our household. And I can’t seem to keep Shaunsito’s curious, little fingers off of the pages when reading it to him! And as only a mamí would understand, Mora – mamí to three adult children – provided ideas as to what today’s busy mom can do to incorporate teaching and/or sharing literacy with their own children. “Moms are indeed busy. I think we foster bookjoy by having our children see that we’re readers and that we enjoy reading, by having nightly pjs & books time, and by taking children to libraries and book stores as great places to visit,” she suggested, via email and while on tour to help promote Dia across the nation. So, with an incredibly busy life of her own, what inspires her to continue writing books, such as Book Fiesta, and her involvement in Dia? “I love to read and will always be grateful to my dear mom who gave me that gift. Writing children’s books and working to help Dia grow are two ways to share the years of reading pleasure I’ve experienced,” explained Mora. All I can say is gracias mamí. To help give you and your chiquillo a break from mommy’s hectic schedule and spend some quality reading time, I have a surprise! As a thank you for visiting my blog, I am giving away a copy of Book Fiesta to one lucky reader. *And as an added entry I would love to hear how you will be celebrating Dia with your child. *This giveaway is only available to those with a valid U.S. postal address and will end on Sunday, May 10th, 2009 at midnight EST. **Side Note – This post was intended for Thursday, April 30th. However, being a “new mami” requires tons of flexibility and the ability to laugh – not cry! – when your peanut decides he wants to learn how to type like a big boy and in the process wipes out the first entry to your blog you so painstakingly worked on! Qué será, será. Holiday Shopping With Ho! Ho! Home Depot & Giveaway! Ringling Brothers Circus – Fully Charged – ATL – Family Pack Ticket Giveaway! I like book one of My Family/ Mi Familia. Let’s Eat! A Comer! This looks like it would be a great book to read. Where it teaches your kids that wealth isn’t the big thing in life but love and laughter is. Alot of kids need this in there life today. The cover is very eye catching also. Showing the Rosas family very happy. All 4 books of My Family/ Mi Familia looks great. I haven’t had the the opportunity to read these books just yet to my son. But I look forward to getting a copy and sharing it with him. Thank you for bringing awareness to families regarding this wonderful author. Her book covers look so lively and the stories seem to be so enriching. I cant wait to read them. Sigue adalente! with all that you share on your blog. “Love to Mamá: A Tribute to Mothers” looks like it would make a perfect Mother’s Day read and and gift for mothers. I’m sure the poems would speak to every mother. Thanks. I would love to celebrate Dia with my boys, even though we missed it this year. I would check pull out all the books my mom and abuelita have given us that are in spanish and maybe check out a few more from the library. Then I’d make beans and rice with fried bananas for dinner.